IN THE East End more than a century ago a little cargo ship was built at Bow Creek, one of 1,500 made there between 1840 and 1956.
hearties, it’s up there with the Cutty Sark, which you can see at Greenwich, and HMS Belfast (near London Bridge). 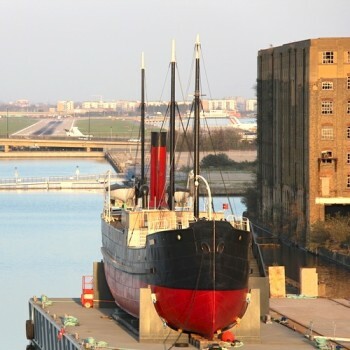 At least it should be: what is thought to be the world’s oldest complete steamship rests on a pontoon in Royal Victoria Dock in need of more money to finish its restoration. The Heritage Lottery Fund (HLF) has given £100,000, but it is not enough and the SS Robin Trust has had to give up plans to open her to the public next year 2016. The trust now thinks that solely heritage use is unlikely and is looking into the possibility of more commercial ideas. 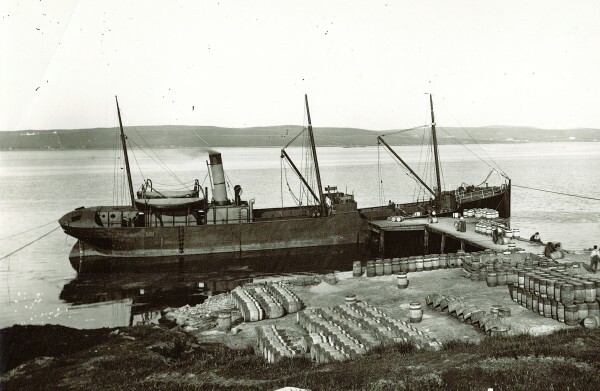 The National Historic Ships Register describes Robin as the “sole remaining representative” of the cargo steamers that comprised the British merchant fleet at its peak. 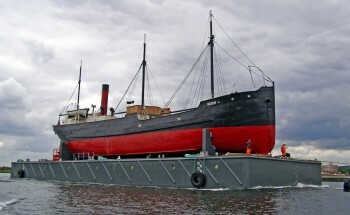 Built by Mackenzie, MacAlpine and Co. in Orchard House Yard at Bow Creek for Robert Thomson, she was launched on 16 September 1890. She worked around Britain and other parts of western Europe before threatened with being scrapped in 1974. Happily, she was brought back to England and eventually given to the Robin Trust. The Duke of Edinburgh became interested and is said to have started the campaign to have her restored. Now crowdfunding is the hope for this little piece of London history, languishing like a fish out of water and sadly only a mile from the East End creek where it emerged. Press this link if you think that should change.